Takemote is a Wezarp technology software. It aims to visualize and control any Windows application or Desktop with a tablet, a smartphone or a remote computer (iOS, Windows and Android). It's easy, multi-client, multi-window and multi-control. Takemote is based on the communication via UDP/IP between a client (smartphone, tablet or remote computer) and a server connected on the same local network (VPN could be used to connect server and client over internet). 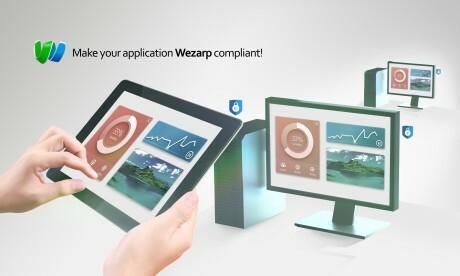 Choose the required Wezarp client available for iOS, Android and Windows to control or monitor your software. Takemote Lite - Takemote is a Wezarp technology software. It aims to visualize and control any Windows application or Desktop with a tablet, a smartphone or a remote computer (iOS, Android and Windows). It's easy, multi-client, multi-window and multi-control.